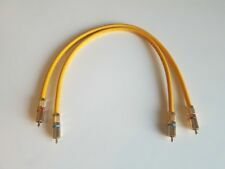 Van DEN HUL M.C 3T D 102 MKIII apportando RCA/Phono di interconnessione. 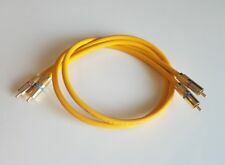 Digital Interconnects. Sub-Woofer Interconnects. Pro-Ject (Project) Connect-IT E Phono Interconnects (1.23m) zemoose(201). Analogue Studio Reel to Reel Tape Head Demagnetiser alachipchas_0(235). - Insulation/Dielectric Strength: Cores: PE foam; Jacket: HULLIFLEX / 300 Vrms min. 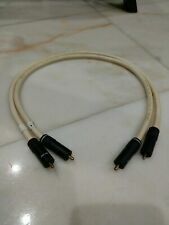 Van den Hul M.C 3T D 102 MkIII HYBRIDE RCA/Phono interconnect.